Prompted into action by Google’s release of the Chromecast dongle last year, Apple has been on something of a mission to bring more content to its famed set-top. Sure, we haven’t seen any new hardware for a good couple of years now as far as Apple TV is concerned, but for those in ownership of the current-gen models, there are now dozens of channels and services to choose from. 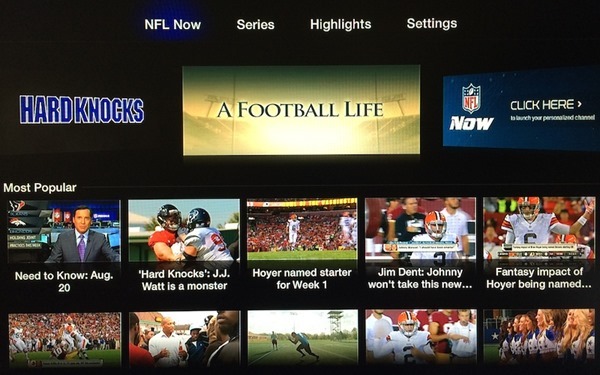 For sports fans, the introduction of NFL Now is likely to go down well, and if you don’t happen to own the Cupertino company’s little black box, you’ll be pleased to learn that Amazon Fire TV and Yahoo Screen should also reap the benefits of NFL Now over the next few weeks. The fall is always the most crucial season for football fans, with everything building up towards the play-offs and subsequent Super Bowl early on the following year. As such, the NFL Network’s new tie-in with Apple TV and other streaming services is equally pivotal, and while Apple TV was once described as a "hobby", we’re now beginning to see evidence of that favoritism usually preserved for iOS devices of the portable variety. 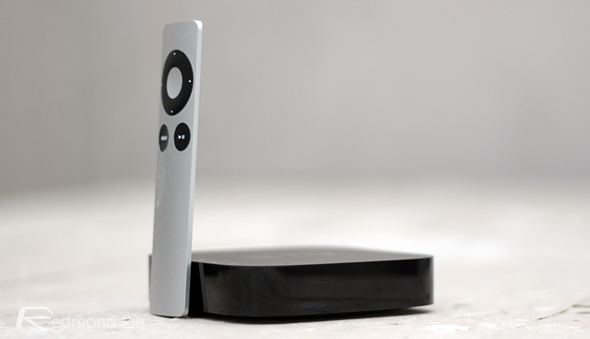 Given the lack of respect that the Mac maker showed Apple TV and the streaming market in general until recently, it’s no surprise that the major networks weren’t exactly tripping over themselves to push their services Apple’s way to begin with. But with the Cupertino-based outfit having upped the ante with more content and a price-drop across several markets — thanks in part to the aforementioned moves made by Google — we’re now seeing the likes of NFL Now prioritizing Apple TV customers over rivaling offerings like Amazon’s fledgling Fire TV. By the time the regular season kicks off on September 4th, the Kindle Fire tablet line should also have joined the party, and with Xbox and Roku having already been brought up to speed before now, there are plenty of ways for NFL fans to keep updated with the latest on-demand videos. As well as highlights, fans can check out press conferences and other affiliated content, and with the streaming services now ready to rock, let’s just hope that this season lives up to the dramas of the last.